The Book of Mormon refers frequently to singing. The people in the Book of Mormon sang praises to God after victorious battles, they sang during celebrations, and they sang during worship services.2 During the years of righteousness during the Nephite golden age, “their meetings were conducted by the church after the manner of the workings of the Spirit, and by the power of the Holy Ghost; for as the power of the Holy Ghost led them whether to preach, or to exhort, or to pray, or to supplicate, or to sing, even so it was done” (Moroni 6:9, emphasis added). Twenty of the Book of Mormon’s twenty-four references to singing deal specifically with singing praises unto the Lord.3 Its peoples sang to praise the Lord’s victory after battle (3 Nephi 4:31–33); they sang to praise His power and atoning grace (Alma 5:9, 26); and they sang to emulate the angels in heaven. Lehi (1 Nephi 1:8) and Alma the younger (Alma 36:22) both saw visions of the heavenly choirs singing praises to God. King Benjamin (Mosiah 2:28) and Mormon (Mormon 7:7) both expressed a longing to one day join these angelic choirs above. In a military context, Coriantumr sounded a trump to commence the battle against the armies of Shiz.8 In worship, Alma’s desire to “speak with the trump of God” may be a reference to ancient Israelite holiday cycles.9 We know that royal coronations in the Bible were accompanied by the blaring of trumpets (2 Samuel 15:10; 1 Kings 1:39), so it may even be possible that the coronation of King Mosiah and other Nephite kings were accompanied by musical celebrations as well. 28 Awake, my soul! No longer droop in sin. Rejoice, O my heart, and give place no more for the enemy of my soul. 29 Do not anger again because of mine enemies. Do not slacken my strength because of mine afflictions. No longer droop in sin. And give place no more for the enemy of my soul. O That I Were an Angel by Book of Mormon Central. Reading scripture involves more than just letting words pass through your eyes. Through his holy word, the love of God breaks forth in songs of the heart: “Therefore my heart greatly rejoiceth; and with my song will I praise him” (Psalms 28:7). Reading the inspired words of the Book of Mormon aloud, listening for rhythms, cadences, and harmonious sounds can bring the music of its messages to life. Its music serves several purposes. The Book of Mormon embraces righteous music as a form of expressing thanks to God. It also recognizes that, like any other powerful mode of communication, music can be enlisted for unrighteous purposes. On one occasion, the Book of Mormon condemned the rude music-making of Laman, Lemuel, the sons of Ishmael, and their wives, during their sea voyage to the promised land (1 Nephi 18:9). The Bible likewise condemns music used for wicked purposes (Psalm 69:13; Job 21:11–12).14 Recognizing the scriptural attitude toward music can help readers today to make wise media choices. Realizing that music has sacred soul-stirring powers helps to explain why music that detracts from the Spirit or which leads one to forget God and His commandments is displeasing to the Lord. Healing of the Blind Man by Carl Bloch. Image via Wikimedia Commons. Regardless of anyone’s musical ability, the Book of Mormon teaches that the most important song to sing is the song of Christ’s redeeming love. If people embrace the Savior’s Atonement and live their days singing the song of His redeeming love, the day will come when their souls—like the “immortal spirit” of King Benjamin—“may join the choirs above in singing the praises of a just God” (Mosiah 2:28). Failing to recognize these musical elements and spiritual themes leaves any performance of the Book of Mormon incomplete and inadequate, whether public or private, whether in the narrow gate or on the broad way. This KnoWhy was made possible by the generous support of Anonymous. John A. Tvedtnes, “The Choirs Above,” in The Most Correct Book: Insights from a Mormon Scholar (Salt Lake City, UT: Cornerstone Publishing, 1999), 167–169. Gary A. Rendsburg, “The Psalms as Hymns in the Temple of Jerusalem,” in Jesus and Temple: Textual and Archaelogical Explorations, ed. James H. Charlesworth (Minneapolis, MN: Fortress Press, 2014), 95–122. 1. For references to singing, see 1 Nephi 1:8; 18:9; Mosiah 2:28; 18:30; 20:1–2; Alma 5:9, 26; 26:8, 13; 36:22; 3 Nephi 4:31–33; Mormon 7:7; Ether 6:9; Moroni 6:9. For references to singing that quote biblical passages, see 1 Nephi 20:20; 21:13; 2 Nephi 8:11; 15:1; 22:1–6; 24:7–8; Mosiah 12:21–23; 15:29–30; 3 Nephi 16:18–19; 20:32–34; 22:1. For references to musical instruments, see 2 Nephi 15:12; Mosiah 26:25–27; Alma 29:1–2; Mormon 9:13–14; Ether 14:28–29. For references to musical instruments that quote biblical passages, see 3 Nephi 13:1–2. 2. 1 Nephi 1:8; 3 Nephi 4:31–33; Mosiah 20:1–2; Moroni 6:9, respectively. For more on singing in the Book of Mormon, see Book of Mormon Central, “Why Was Singing Hymns a Part of Nephite Worship Services? (Moroni 6:9),” KnoWhy 251 (December 13, 2016). 3. 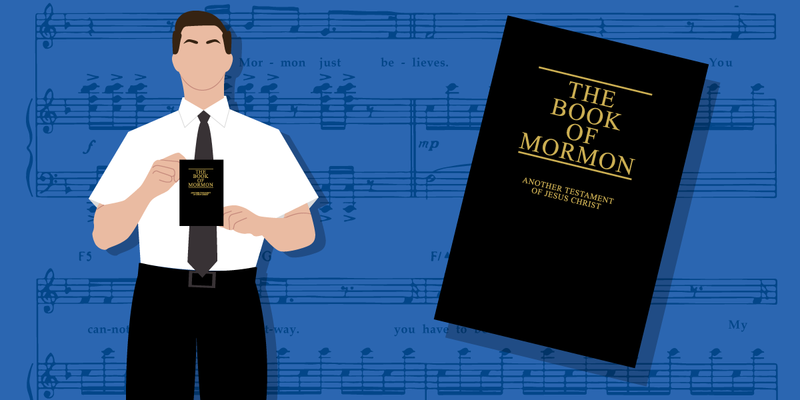 Almost half of the Book of Mormon’s references to singing echo the musical landscape of the Bible by quoting directly from biblical passages, such as when Abinadi quotes Isaiah 52 to King Noah and his priests. Mosiah 12:22–23; cf Isaiah 52:8–9. 4. See Mosiah 26:25–27; Alma 29:1–2; 3 Nephi 13:1–2; Mormon 9:13–14; Ether 14:28–29. The only other verse to mention instruments is Isaiah 5:12, quoted in 2 Nephi 15:12; it is unknown whether the harp or other instruments were used. 5. Victor H. Matthews, “Music and Musical Instruments,” Anchor Bible Dictionary (New York, NY: Doubleday, 1992), 4:936; Mark Allen Powell, ed., “Music,“ The Harper Collins Bible Dictionary (New York, NY: HarperOne, 2011), 667–668. 6. Matthews, “Music and Musical Instruments,” 4:936–937; Powell, “Music,” 668. 7. See footnote 11 in Book of Mormon Central, “Why Did Alma Wish to Speak ‘with the Trump of God’?” (Alma 29:1) KnoWhy 136 (July 5, 2016). Based on this evidence, it is possible that the trumpets mentioned in the Book of Mormon could have been made of horns, shells, metal, or some other material. 8. Ether 14:28–29. For biblical uses of the shofar or trump in military contexts, see Joshua 6:4–20; Judges 3:27; 6:34; 1 Samuel 13:3; Isaiah 18:3; 27:13; 58:1; Jeremiah 51:27; 4:5, 19, 21. 9. Book of Mormon Central, “Why Did Alma Wish to Speak ‘with the Trump of God’? (Alma 29:1),” KnoWhy 136 (July 5, 2016). For biblical uses of the shofar or trump in worship, see Leviticus 25:9; 2 Chronicles 5:12–13; 2 Kings 12:13. 10. Parallelisms may be thought of as “thought rhyming.” While the words in Hebrew poetry do not follow strict meter or rhyme, they follow symmetrical and balanced repetitions of thought, often in couplets. For example, Neil Armstrong in his famous moon landing speech exhibits a form of parallelism: “That's one small step for man; one giant leap for mankind.” Neil Armstrong, “One Small Step,” Apollo 11 Space Report (Houston, TX: National Aeronautics and Space Administration, 1969). For more information on parallelisms in the Book of Mormon, see Book of Mormon Central, “Why Is the Presence of Chiasmus in the Book of Mormon Significant? (Mosiah 5:10–12),” KnoWhy 166 (August 16, 2016); Carl J. Cranney, “The Deliberate Use of Hebrew Parallelisms in the Book of Mormon,” Journal of Book of Mormon Studies 23 (2014): 140–165. 11. Donald W. Parry, Poetic Parallelisms in the Book of Mormon (Provo, UT: 2007), 68. 13. Exodus 15:1–18, see Geary Larrick, Musical References and Song Texts in the Bible, Studies in the History and Interpretation of Music, Volume 9 (Lewiston, NY: Edwin Mellen Press, 1990), 114. For additional examples of possible song texts in the Bible, see Numbers 21:14–15; Numbers 21:16–18; Numbers 21:28–30; Deuteronomy 32:1–52; Judges 5:1–31; 1 Samuel 2:1–10; 2 Samuel 1:17–27; 2 Samuel 22:1–51; 2 Samuel 23:1–7; Isaiah 26:1–6; Isaiah 38:9–20. 14. Matthews, “Music and Musical Instruments,” 4:931. 15. Jeffrey R. Holland, “Songs Sung and Unsung,” Ensign, May 2017, 51. 16. Holland, “Songs Sung and Unsung,” 51. How Are the Words of the Book of Mormon Like “One That Hath a Familiar Spirit”?